See the RSGB 3.4 GHz band plan for full details. 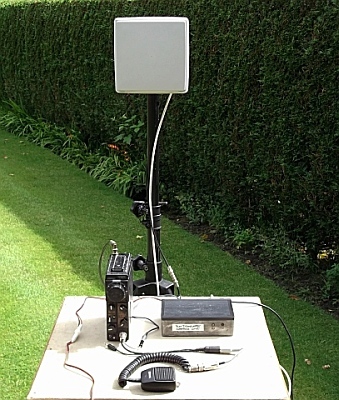 There are a number of narrowband beacons in the 3.4 GHz - see this page for an up to date list. There are an increasing number of amateur TV repeaters with DATV outputs in 3.4 GHz - see this page for an up to date list. There are no licensed voice repeaters in the band. A few years ago there was a lot of surplus 3.4GHz wireless broadband equipment available - you don't see some much now, but if available it can be easily converted to DATV operation. The Airspan AS4000 is an outdoor consumer unit operating in duplex mode (Tx and Rx) on 3.4 GHz - it needs DC supply, transmit IF and reference oscillator up the co-ax and sends rx IF down. The unit IF is at 820 MHz and G6GVI and M0DTS have both modified the local oscillator by changing the reference oscillator and reprogramming the PIC to provide an IF at 1296 - power output is 100 - 200 miliwatts with no modifications. 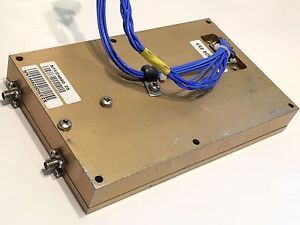 However, it is now possible to just use the ADF4351 controlled by Ron G7DOE's simple controller to provide an LO of 2970, which provides an IF at 432 MHz for Narrow Band and DATV use. The only other mods are to apply the IF signal after the 800 MHz IF filter and key the transmitter as shown on M0DTS site. 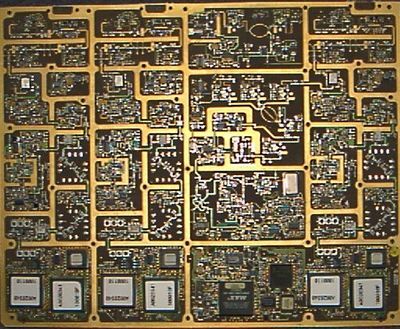 Whole chunks of working circuits can be retrieved from the Ionica main board to make a simple transverter as described on John G4BAO's site - don't forget, it is much easier now as we can use the ADF 4351 as the Local Oscillator on any frequency you desire. This page was last modified on 9 September 2018, at 00:48.